Are you thinking about going solar? Check out the following pages to learn more about the mechanics of solar energy and how you, too, can power your home or business with the sun! This page explains how the energy from the sun gets converted into something you can use in your home! Both solar thermal and photovoltaic systems are covered. These presentation slides from ISEA Solar Ambassadors serve as an overview of how solar works, steps to going solar, and exciting things happening in Illinois due to new legislation. A recording of a presentation is also available to download here. Getting started on the installation process can sometimes seem overwhelming! This page breaks it down step-by-step, from site assessment to financing. Unsure what company you should choose to safely install and connect your system? Follow this guide! Learn about the incentives for going solar, and what you can expect to earn back. 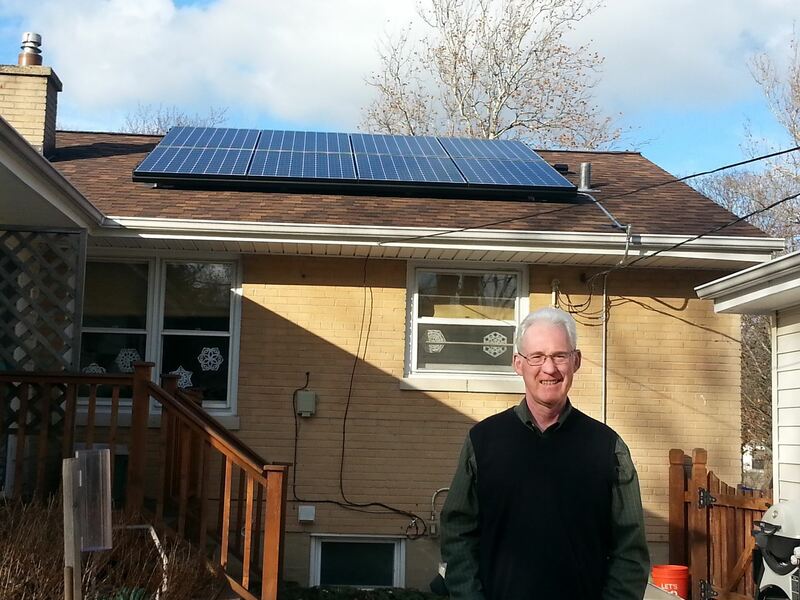 ComEd residential customers are eligible to participate in Net Metering if they own or operate an eligible system less than or equal to 2,000kW (AC-rated) for their own use. To participate in Net Metering, the system should be sized to produce no more than 110% of the homeowner's most recent 12-months of energy usage. In the case of new homeowners/new constructions, ComEd will base the 110% of usage on what an "average customer" uses in that area. Learn some important legislation in this Act from 2011. The Illinois Solar Rights Act is intended "to protect the public health, safety, and welfare by encouraging the development and use of solar energy systems in order to conserve and protect the value of land, buildings, and resources by preventing the adoption of measures which will have the ultimate effect, however unintended, of preventing the use of solar energy systems on any home that is subject to a homeowners' association, common interest community association, or condominium unit owners' association." Learn more about incentives you can take advantage of as a user and producer of solar energy. Interested in talking with someone who already has solar on their home or business? ISEA's Solar Ambassadors are happy to talk about their experiences and give advice to those interested in going solar! Visit our Solar Ambassador page here.